3 Ingredients to a Healthier You! 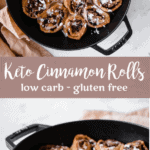 These Keto Cinnamon Rolls or Keto Sticky Buns as some of you might call them, are sweet, gooey, and delicious. 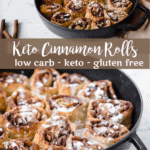 Best of all, they are low carb and gluten free. NOTE: What is shown in the photos is a double batch. Preheat the oven to 400°F. Lightly grease a baking pan. 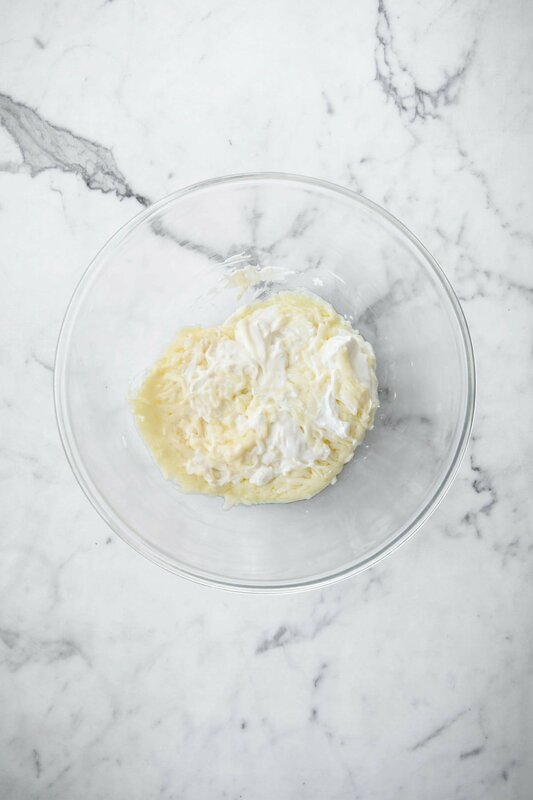 Combine the mozzarella and cream cheese in a microwave safe bowl and microwave for 30 seconds at a time until the cheese is melted enough to mix together. Once the cheeses are melted and combined, mix in the almond flour, egg, erythritol, baking powder and vanilla extract. Mix until all ingredients are well incorporated and have formed a dough. 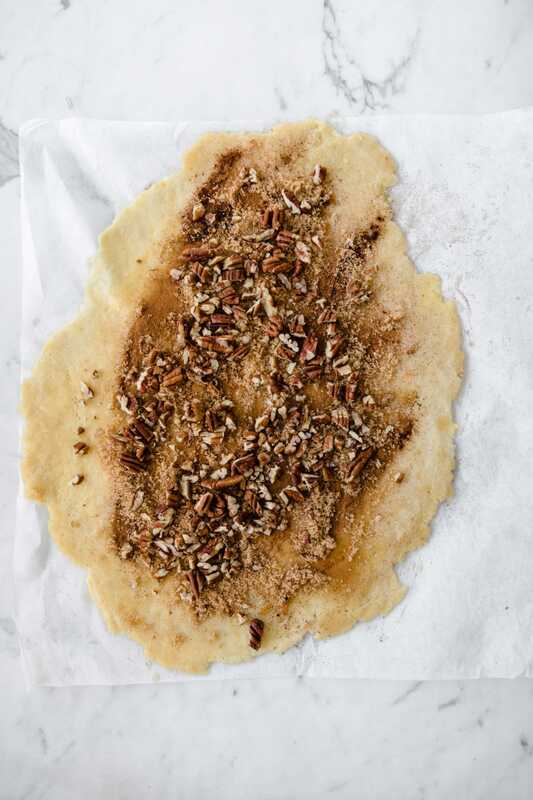 Roll the dough out between two sheets of parchment paper and then refrigerate for 15 minutes. 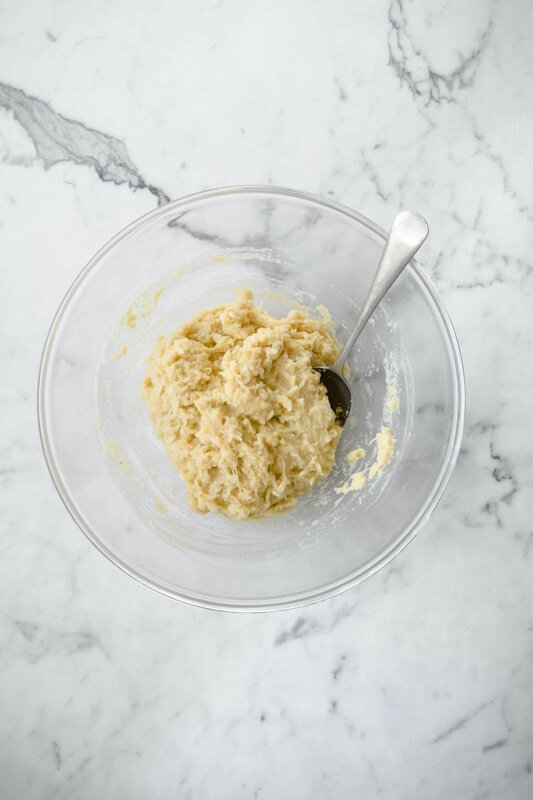 While the dough is chilling, combine the melted butter and the extracts together in a small bowl. Brush the butter mixture over the dough, leaving about a 1 inch gap around the edges of the dough. 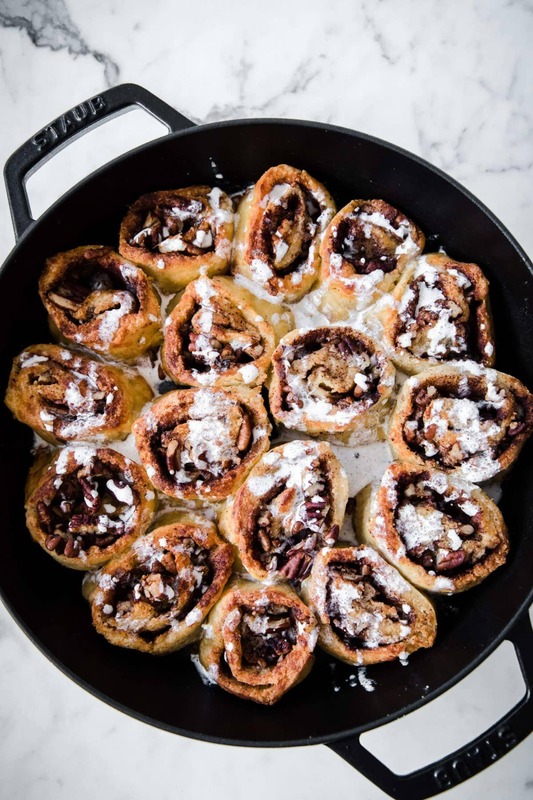 Sprinkle the brown sugar erythritol, cinnamon and pecans over top. 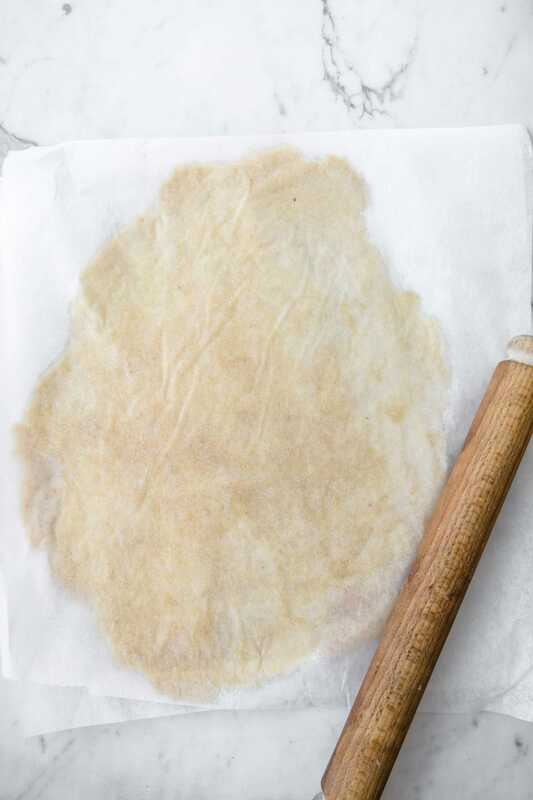 Using the parchment paper to help roll the dough, carefully roll it tight and cut off and discard the uneven edges. 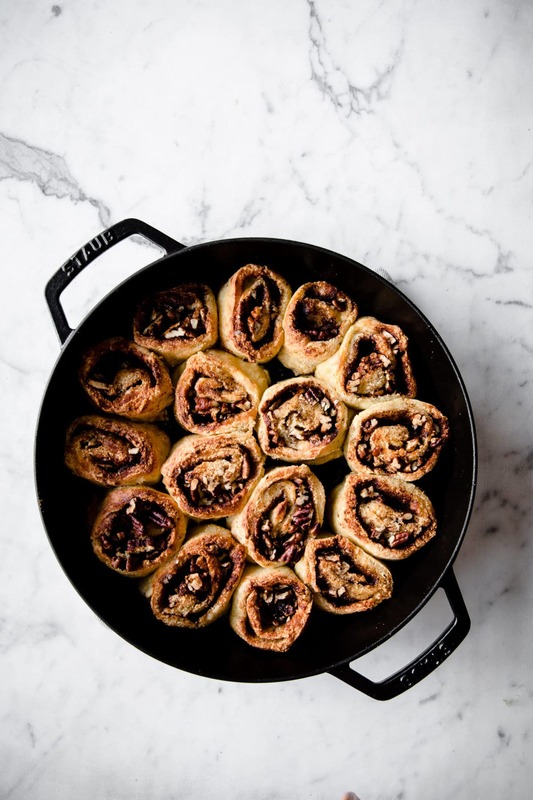 Place the rolls snuggly into the baking pan, but not too tight as they need room to expand while cooking. 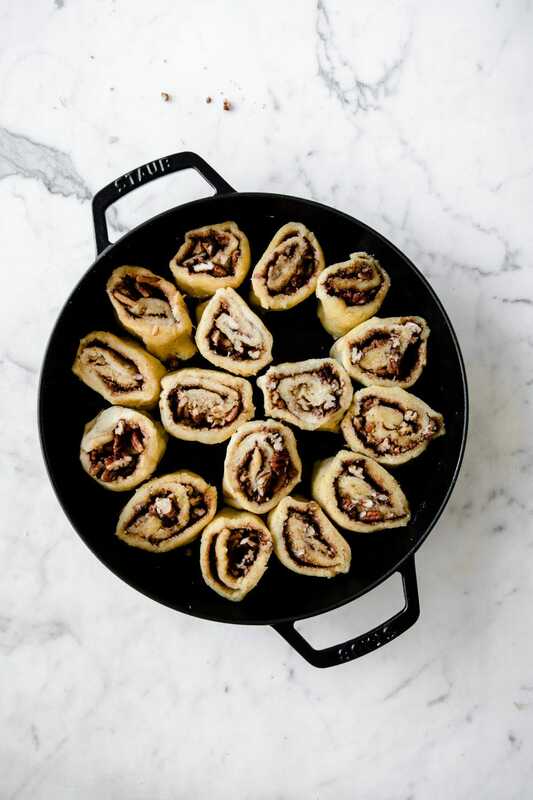 Brush with any remaining maple butter and loosely cover the pan with parchment paper. Bake for 8 minutes. 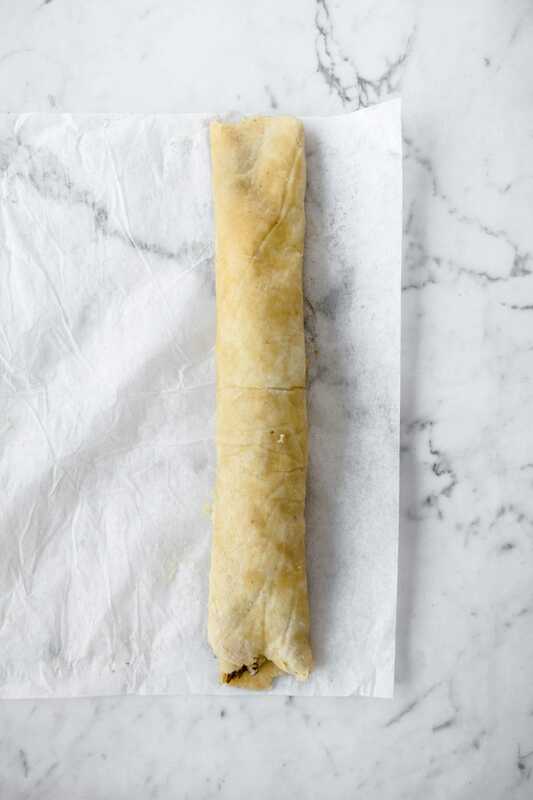 Remove the parchment paper and bake for an additional 10 minutes, or until you can stick a toothpick in the center and have it come out clean. 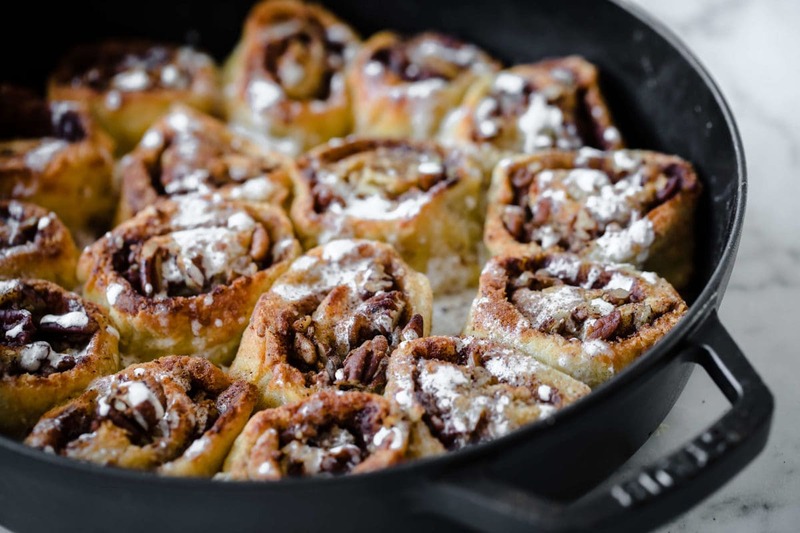 While the cinnamon rolls are baking, prepare the glaze. Add the heavy cream, erythritol, vanilla extract, maple extract and salt to a small bowl and whisk to combine. 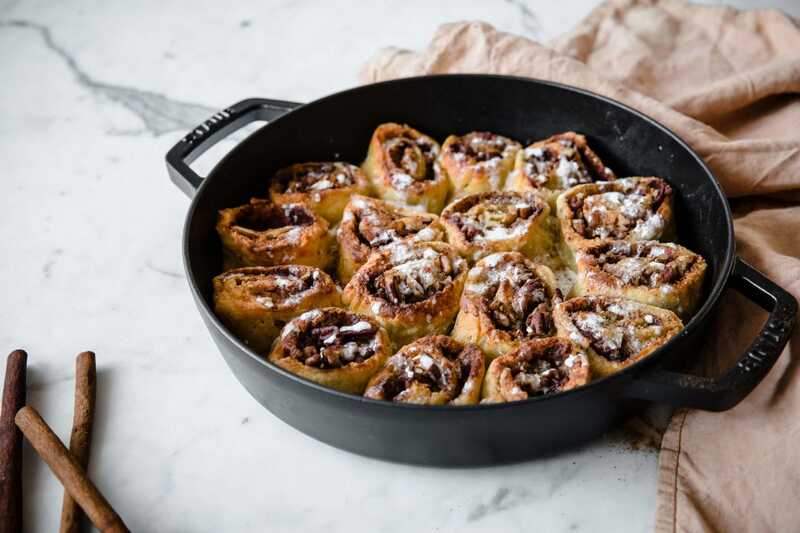 You can also whip this with an electric mixer to make it a thicker glaze that you can pipe over top of the cinnamon rolls. 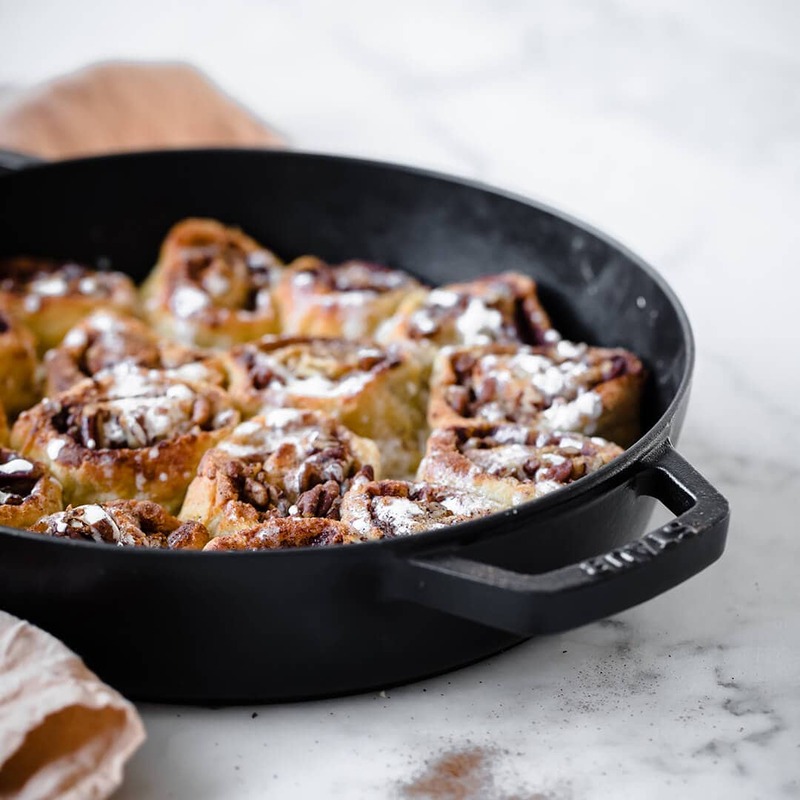 Once the cinnamon rolls have finished baking, allow them to cool for 5 minutes and then drizzle the glaze over top. Jo is the food photographer and stylist behind healthy eating blog, Modern Food Stories. Jo’s a testament that once you find the right approach for you, you can overcome chronic illness through the healing power of food. She believes the secret to radiant health starts and ends with a healthy gut so all her recipes are grain, gluten and refined sugar free. Many are also sweetener and dairy-free. 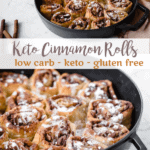 Are you ready to take the guesswork out of that stressful weeknight meal planning?Peace, Love and Low Carb - Low Carb and Gluten Free Weekly Meal Plans are low carb, gluten free, and keto friendly. All recipes include a color photo and complete nutritional analysis. Comes with a printable grocery list, snack list, tips for meal prepping and suggestions for substitutions. Every recipe is less than 10 grams of carbs per serving. 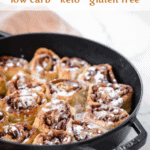 All recipes are gluten free and made only from whole, real, easy to find foods that you can find at your local grocery store. New resources are added to the plans each week. 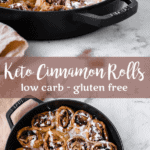 All the best information to help keep you on track with your low carb, keto lifestyle. I've even included a journal where you can track what you eat, how much you moved and how you are feeling overall. It is definitely the most comprehensive low carb meal plan out there. And for only $4.99 per week, you simply cannot beat the price. Welcome to my little slice of the internet!